As the temperature drops outside, you'll start craving warmer, heartier foods for fall. Here's our list of 100 cozy dishes to try. Colder temps call for tummy-warming dishes, and this pumpkin soup is just what you need to feel cozy and comfortable. 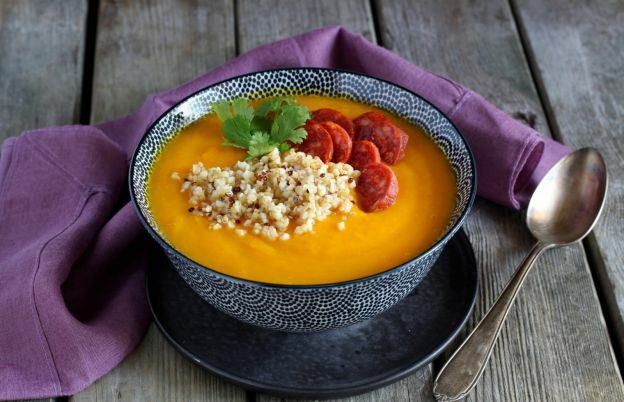 The quinoa adds a filling pop of protein, while sliced chorizo puts a slightly spicy twist on this soup that has autumn written all over it.